High quality, natural, superfood Moringa based products from Moringa harvested in the mountains of Malaysian Borneo. Founder Federica, spent her early career working for a leading pharmaceutical company and has always been curious about diet supplementation, natural medicines and health remedies. She was introduced to Moringa whilst travelling on a plane and a year later she was travelling around Asia researching Moringa, visiting plantations, chatting to farmers about harvest and different grades of productions, and analysing leaves and leaf powders. 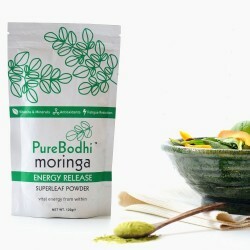 PureBodhi Moringa have partnered with a team of world leading researchers to scientifically validate the nutritional content and the health benefits of Moringa, which include energy release, fatigue reduction, antioxidant action and healthy skin. 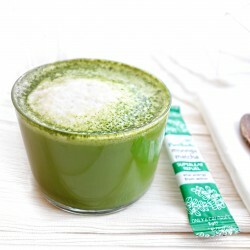 Protecting Moringa's high nutritional content, they developed the purest and most natural Moringa based teas, powders and drinks that could bring amazing tangible results you can see and feel!